If you haven’t made it up to the new Sierra Nevada brewery in Mills River, well this is as good an occasion as any. The North Carolina Craft Brewers Guild is partnering with the brewery to present the inaugural Burly Beers and Barleywines Festival from 12-4 p.m. on Saturday, March 28. Tickets go on sale today at 10 a.m. and are $65 each, which includes admission, a tasting glass, unlimited samples of beer, and food samples from Sierra Nevada’s restaurant. There are also designated driver tickets available. All proceeds benefit the North Carolina Craft Brewers Guild. More than 50 breweries — including Allagash, Epic Brewing, Dogfish Head, Flying Dog and Duck-Rabbit — will bring barleywines, stouts, barrel-aged beers or spiced beers to the festival. The final brewery list will be posted in late February. For more information or to purchase tickets, visit www.SierraNevada.com/BurlyBeers. While the vast majority of hops are grown along the 48th latitude in places like the Pacific Northwest, England or Germany, many farmers are starting to grow hops in North Carolina and Virginia. Several of these farmers will meet with brewers at the NC-VA Hops Conference, held at NC State University’s Forsyth County Center in Winston-Salem on Friday, March 13 and Saturday, March 14. You can purchase tickets for both sessions here. The Friday portion of the conference will actually be a pre-conference event featuring farmers from Blue Ridge Hops in Western North Carolina and Piedmont Hops, which has farms in North Carolina as well as Virginia. The main conference on Saturday will from 9 a.m. to 5:30 p.m. and include several sessions on growing hops and the challenges Southern farmers face. Steve Miller, a hops specialist from Cornell University, will be the keynote speaker. Brewery representatives from Fullsteam Brewery and Lost Rhino Brewing will also discuss what breweries look for when purchasing hops from small growers. The event is co-chaired by Jeanine Davis, hops researcher and extension specialist at NC State University and Stan Driver, co-chair of the Old Dominion Hops Cooperative and owner of Hoot’n Holler Hops. Full disclosure: I’ll be attending this conference for free as a member of the media, as I hope to once again write about the small but burgeoning hop farm industry in North Carolina. I wrote about some of them last September for this Our State Magazine piece. Every month, historic downtown Summerville, SC celebrates its Third Thursday with vendors, live music and other entertainment. 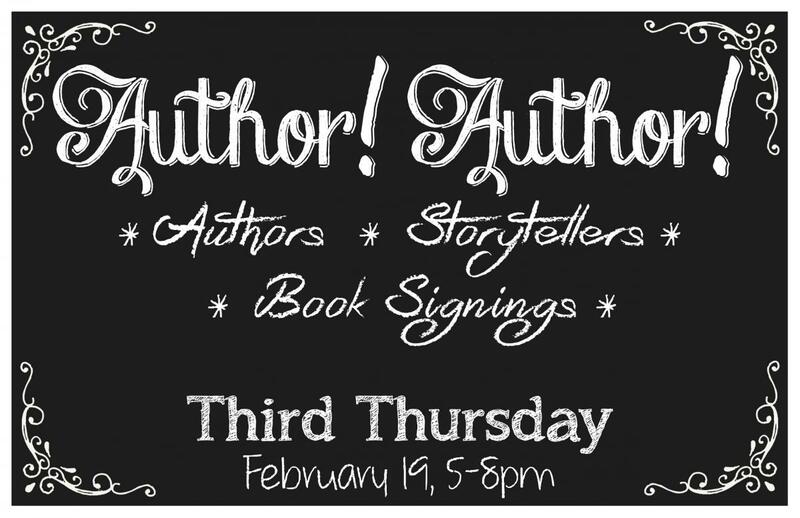 On Thursday, Feb. 19, they will welcome almost 30 writers as part of their “Author! Author!” event. I’ll be there signing copies of “Beer Lover’s The Carolinas” at Homegrown Brewhouse (which is one of the many Charleston-area venues in the book). You can see the full list of writers and the stores in which you will find them here. Homegrown Brewhouse has one of the best selections of SC beer on tap that you will find. I hope you’ll come out to share a pint and check out the book! Groundhog Day isn’t a big holiday for beer lovers. It’s sandwiched between Christmas and Valentine’s Day, both of which have their share of beers — spiced seasonals for the former and big, chocolatey stouts for the latter. So it’s easy to overlook Groundhog Day as a beer drinker. We might check to see if Punxsutawney Phil saw his shadow or not, but who among us would raise a glass of beer to the alliteratively-named rodent? Carolina Brewing Co. and Pisgah Brewing, that’s who. While everyone was gearing up for the “big game” yesterday, Pisgah Brewing in Black Mountain was celebrating the eighth year of Stout Hog Day. As they do every year, they tapped a variety of stouts and dark beers, including Chocolatized, which won a gold medal at the Great American Beer Festival this year. They also held a Brewer’s Breakfast for the first time, where the brewers made free pancakes for those in attendance. And Pisgah isn’t the only one to celebrate this oft-overlooked holiday. Carolina Brewing Co. in Holly Springs brews a beer for Groundhog Day every year. This year’s version — an imperial stout — is on shelves now. It was just announced that White Labs Inc., a leading manufacturer of yeast for beer and wine applications, will build an East Coast lab in Asheville. The announcement was made in conjunction with the Asheville City Council, Buncombe County Commission and the Economic Development Coalition for Asheville-Buncombe County. The new White Labs facility will be located in a 26,000-square-foot building at 172 S. Charlotte St. (this building previously served as the city’s water resources department). The company will produce yeast on site and provide lab services for industry professionals. In addition to serving as an East Coast facility for yeast production, this location will also be the base for sales and marketing for the eastern United States and global market. The facility will employ 65 people, with hiring beginning this summer. The new facility will mirror the San Diego location and include an on-site brewery and tasting room, according to All About Beer magazine. 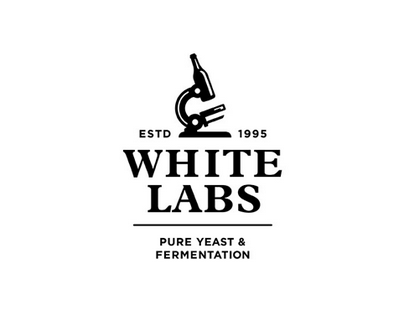 White Labs pitches different yeast strains into the same wort (or unfermented beer), so as to allow taproom visitors the chance to experience the different qualities that each strain imparts. Hey, Cola Town! First, allow me to apologize for not getting down your way for a signing yet. I’m going to make it up to you by coming down twice in a single week! The first signing will be at the World Beer Festival in Columbia on Saturday, Jan. 17. I will be on a panel discussing the history of beer in the Carolinas with John Holl, editor of All About Beer magazine (which presents the World Beer Festivals in Columbia, Raleigh, Durham and Cleveland). Tickets for this beer festival are still available here. The second signing at the Good Life Cafe in Columbia at 7 p.m. on Thursday, Jan. 22 with the South Carolina Girls’ Pint Out. You can join the Facebook group here. This book, which came out in April of this year, features a total of 156 breweries and beer bars. And if your brewery is more than a year-old, it’s probably in there! Each brewery’s section offers a brief account of their history and philosophy, as well as a description of the atmosphere of the place and the beers offered there. Tasting notes are provided for a handful of beers at each brewery, as well as a “Beer Lover’s Pick” that you have to try if it’s available. There are also sections devoted to the best area beer festivals, clone homebrew recipes, foods made with beer and city pub crawl routes. All told, it’s more than 300 pages of North and South Carolina beer. The book is available online and in many bookstores, but I can’t help but feel it would be best appreciated by the people actually visiting some of the establishments that are featured in the book. If you would like to order the book to carry in your business, please contact Amy Alexander at aalexander@nbnbooks.com or call her at 203-458-4541. Thanks to everyone who has helped spread the good word thus far; your help is greatly appreciated!